What a service! I bought a D70 onine and had it shipped straight to Protech. There was a problem with the camera that Kelvin and Jo told me about straight away, then they took it back to the supplier and had it changed for a D70s! That's going above and beyond good customer service, I couldn't recomend Protech enough, many thanks Kelvin and Jo. In august i had my Canon 40D converted to IR with a 720nm filter, brilliant, I had been using the Fuji IS-1 infrared camera for 5 years, no comparison, the conversion was very good and fast, nice people to deal with. I got my faithful D70 converted to Infrared 830 nm... Not only the result is a delight but the service was excellent. I had mine shipped to France... 2 days to ship, one day on site then 3 days to arrive back to me! I am not even talking about the people... So nice! I really recommend the service! I got my D80 camera back from on 20/August and I am delighted with the results of the IR conversion. For months I struggled with IR filters, with little or no success in achieving the results I want. The first evening out with modified camera, I got what I wanted. This conversion has breathed new life into my D80 which had not been used in about a year. The service from Jo & Kelvin has been been excellent. Their prompt response to queries and questions was outstanding. I would have no difficulty in recommending them to any one who ask, in fact it was a personal recommendation that pointed me in their direction. Would highly recommend Protech if you choose to have an infrared conversion on a DSLR. I sent off my Nikon d5100 on Wednesday and got it back on Monday. I had some technical questions on the use of the lens (settings, WB, exposure etc) which Kelvin talked me through very well and with obvious considerable knowledge. I had previously discussed with him the best filter to choose, based on the type of photography I wished to do - again most helpful. Fabulous service and quick turn around! I ordered a D70 converted to infrared on Monday, on Tuesday it was ready and despatched and I received it today (Wednesday) I'd highly recommend Protech, the staff are very friendly, knowledgable and helpful. I'm really happy with my purchase and would certainly use them again. Fabulous service and speedy turnaround. Have been searching for a site that converts for over a year. So happy to have come accross protech photographic. I am having so much fun trying out new things with my converted D70!! Great to know the guys are also always on the end of the phone or on email if i have any questions as well. Many thanks for the super fast turnaround. I have only had a short time to have a play with my converted D50 and am so impressed with the results. Your impeccable service is and helpful manner was a refreshing change to the norm. I would recommend Protech to anyone considering a conversion or any other work carried out. Giving Jo & Kelvin a ring to let them no I was in the area on business, they kindly let me pop round to have a word about converting a camera to ifrared mode. They saved me a small fortune with there advise on which camera to convert, I selected a filter which I thought would suite my needs on Kelvins advice and everything was ready on the date stated. I have started to shoot infrared and feel sure the creativity will flow in the near future. Many thanks again for your kind and personal service. With Best Regards Terry Dover. What can I say, I bit the bullet after doing some reasearch and seeing some pics and decided to get a Nikon d90 converted. Faffed around with what filter I wanted, whilst all the time Jo was patient and extremley helpful. I needed it completed quickly as I wanted it for a trip to Iceland, and im delighted with the results (which I'll send for the gallery). I am now hooked on I.R. more importantly Protech we a pleasure to deal with, superb customer service and support. Great pre and post service the way it used to be. Also fixed my Nikon D7000 as well as converting my D70. Couldn't ask for a better service. 10/10! I've been a semi-pro photographer for many years but knew very little about Infrared photography. Kelvin and Jo were exceedingly helpful in advising me as to which filter would be best for me, nothing was too much trouble for them and everything was explained perfectly. I sent my Canon 1100D body to them and an excellent conversion was carried out. Jo kept me up to date on the work and advised me when the camera would be posted back. I made a superb choice in choosing Protech and would very strongly recommend Kelvin and Jo to anyone thinking of having an infrared conversion done on their equipment. First class service thoughout. Now I need some suitable weather to try out the camera. Thank you Kelvin, thank you Jo. Absolutely jaw dropping service, my only day off from work and Joanne was able to book me in for an IR conversion and it only took an hour and a half and drove away the same day!!!! all this even though they were closed for christmas! Thank you very much Kelvin and Joanne! Truly great service! Extremely quick and great communication. Big thanks to Jo and the hole protech team. Thank you for you help installing. the 720 filter to my Nikon D70s Everything working fine but will send some images when I return from Spain in December. I'm using my D70s again and it has become my new favourite toy. Great service and excellent communication from Protech made this conversion a very simple process. I'm very happy that there are still companies with this level of personal service. I wish them all the very best. Recently I had my Nikon D-70 converted to I.R. 665nm with Protech. I thought this is too good to be true , so I inserted a CF card and battery and with total amazement. It was a pleasure to use so unlike the filter infront of the lens . This type of service is very rare these days I must take my hat off to them First Class !!!!!! Signed on 28th August, 2011 by Norman Lemon. Thank you very much for really going the extra mile to make sure I got my camera done on time before you went on holiday. Stuck it in the post on Tuesday, and Protech are sending it back on Weds, ready for me to receive tomorrow (Thurs). Awesome service :) Thanks for checking at the sorting office, and for the phone calls. Maybe it's a bit premature to be signing the guestbook, given that the camera doesn't arrive until tomorrow, but I'm confident that if the conversion has been done with the same care as the the customer service I've received, it'll be a good job :) Enjoy your holiday! Nice to deal with a company that cares for its clients,Well pleased with the Nikon D70s converted with a 720mn thank you..Alec. It is reassuring to know we have a company here that puts customer service first, Jo and Kelvin have been exemplary since I sent in my camera to be checked over offering a real personal service. It goes without saying I will recommend their services without hesitation. Fantastic service. Friendly people to do business with and will definitely recommend you whenever the opportunity arises. Kelvin & Jo converted my camera extremely rapidly, not only at a great & fair price, but with sincere interest in my own photographic work & future. If you need camera servicing and/or IR conversion etc, then you have found where to come ... forget any other option, it probably does not/can not compare. You can trust your expensive, important equipment here ... and I'm sure you will leave confident & happy within yourself. Thanks Kelvin and Jo for the great service you provided at short notice. 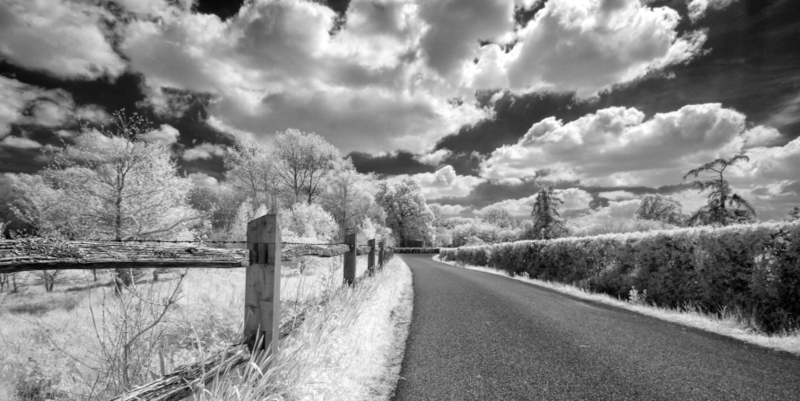 I was delighted to get my D70 converted to infrared without having to wait for ages and at a very good price. I will certainly be confident to recommend you to my friends. Glad you liked the images I sent. This is my second conversion using Protech, Kelvin and Jo, many thanks for a professional service. I am very happy with my D70 fitted with a 830nm filter, the effects are amazing. I always mention your site and your services to anyone looking for a professional camera repair or conversion. Protech Photographic will always be my first choice for conversion and repair. I converted my D2x to 665nm and then realised i wasn't getting enough colour info in it, so Kelvin suggested I should try the 590nm which he then converted my D2x for me. Amazing service from Protech. If you speak to Jo or Kelvin you won't be disappointed as they are both very helpful and professional, so if your thinking about a conversion then do it here as you wont find better, many thanks guys. I'd just like to say that i'm absolutely delighted with the infrared conversion on my camera. You've done a brilliant job. The focussing seems to work really well. Thanks very much. I'll recommend you if I hear of anyone who wants the same done on their camera. Fantastic and very courteous service with an 830nm on a D700. I am over the lens cap! Just a note to say thank you to Jo and Kevin for the attention and support in converting my D70 with an 830nm filter. The conversion is 100% and I can fully recomend Ptotech to anyone considering a similar conversion. Hope the leg is sorted soon. My Canon 5D Mk II was repaired and returned to me in excellent time at a very acceptable cost. First class efficient service. My Canon A80 Sureshot went wrong whilst on holiday in Tenerife, with horizontal lines flashing across the screen. On return I took it back to the Canon agent I had bought it from and was told it was beyond economic repair. Their solution was a new G11, as the only Canon compact with an optical viewfinder and moveable screen. I then heard about Protech from a friend; as soon as I described the fault they recognised it as being due to a faulty chip, which was covered by guarantee (despite it being over 5 years old). They returned the camera for me, and within 2 weeks I had it back, with only a modest handling charge to pay. I cannot speak highly enough of their service. I've used Protech to repair my Olympus OM2sp & 35RD and Ricoh GR1v & GR1: excellent service & excellent pricing. They are always my first port of call for any camera repairs, very friendly & highly recommended! I was very pleased with my shutter repairs absolutely perfect, very reasonable priced, speedy repair, and brilliant advice, a very personal service. Highly Recommended. Thanks guys, you have done an absolutely beautiful job with this Apo-Symmar lens. I'm definitely going to send you more! A few days before Christmas I "bounced" my Nikon D300. I was going away soon after the holiday so I needed to get it checked out. I 'phoned Protech and they told me to bring it the next day. It was given a thorough check and prononced fit and well! No charge was requested and my mind put at rest. What great service and what lovely, friendly people. Best wishes for 2010 and good luck in the new premises. The staff's attitude and professionalism at Protech is first class. They offer a quality service at rates that are competitive whilst taking the time to provide great care and advice with your project. I would not hesitate to use them and recommend them to individuals and companies in the future. Glad to see you have a solution to relocation. Thanks for the persistence with the D80 which remains dust-free. Will no doubt see you at some point in the future. Good Luck to you all! Excellent work and much need advice, in a very friendly and professional manor. Now the only limitations my photography has is the man behind the lense. Just to say. I am more than pleased with the conversion you did on my D70, also the excellent service and 48hr turnaround. A big thank you for fantastic services rendered. If you are a Fotki user please feel free to comment.